In staying true to our purpose of helping people with disabilities maintain and increase personal independence, O.I.L. offers the CDS program. This program allows qualified, Medicaid-active individuals to have assistance in the home through a personal care attendant. Many individuals have been able to avoid unnecessary stays in residential facilities due to the CDS program; some have even left these facilities for the comfort of their own home. If you find that you need assistance with basic living tasks contact O.I.L. We will assist you in understanding the CDS program. Individuals who are enrolled on this Medicaid-funded program have certain responsibilities. Ozark Independent Living has responsibilities too as our office is the fiscal administrator. This office, and any association that O.I.L. belongs to, is opposed to Medicaid fraud. Services are monitored to ensure compliance in handling federal and state dollars; education of consumers and attendants, repercussions and penalties from committing fraud, signature comparison and much more is reviewed many times over. Quality Assurance, safeguards and strict policy are all hallmarks of Ozark Independent Living. What services are covered under the CDS Program? Willing and able to hire, direct and supervise your caregiver. Provides access to basic voice telephone calling (sending and receiving) for individuals with all types of disabilities through the delivery of adaptive telephone equipment. Have telephone service in your home. Have a certified disability that prevents you from accessing or effectively using basic telephone services with standard telephone equipment. Have annual adjusted income not exceeding $60,000 for an individual. Contact Ozark Independent Living to schedule an appointment to have the phones demonstrated. You must be certified and go through the equipment selection process to choose the best phone for your situation. Provides adaptive computer equipment necessary for access to the Internet and e-mail. TAP Internet provides adaptive equipment that modifies how an individual uses a computer. If you have a partial loss of vision, TAP Internet can provide screen enlargement software. If you have a total loss of vision TAP Internet can provide a screen reader. If you are unable to use a standard keyboard or mouse, TAP Internet can provide adapted keyboards or alternative pointing devices. TAP Internet will NOT provide computers or adaptive equipment not needed for basic Internet access. Contact Ozark Independent Living to see if you qualify for adaptive computer equipment. 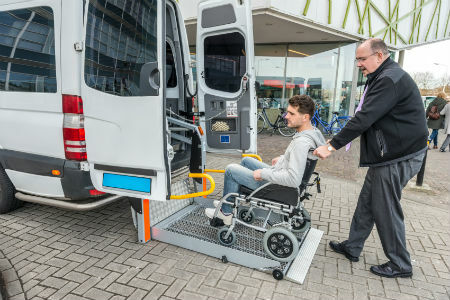 Independent Living Services provides assistive devices in some circumstances, (i.e. 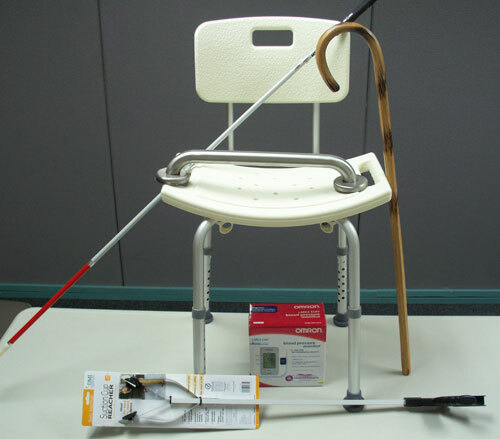 hand held showers, shower chairs and grab bars) and can sell these items at reduced cost to anyone.